No one can surpass the Supreme Personality of Godhead, Krishna—neither the conditioned soul nor the liberated soul. He is therefore the greatest of personalities. Now it is clear here that the living entities and the Supreme Personality of Godhead are individuals. The difference is that the living entities, either in the conditioned state or in the liberated state, cannot surpass in quantity the inconceivable potencies of the Supreme Personality of Godhead. It is incorrect to think of the Supreme Lord and the living entities as being on the same level or equal in all respects. There is always the question of superiority and inferiority between their personalities. The word uttama is very significant. No one can surpass the Supreme Personality of Godhead. The Supreme Lord, in His localized aspect of Paramatma, is also described in the Vedas themselves. The following verse appears in the Vedas (Chandogya Upanishad 8.12.3): tavad esa samprasado ’smac charirat samutthaya param jyoti-rupam sampadya svena rupenabhinispadyate sa uttamah purushah. 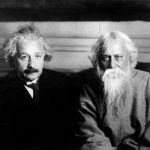 “The Supersoul coming out of the body enters the impersonal brahmajyoti; then in His form He remains in His spiritual identity. That Supreme is called the Supreme Personality.” This means that the Supreme Personality is exhibiting and diffusing His spiritual effulgence, which is the ultimate illumination. That Supreme Personality also has a localized aspect as Paramatma. By incarnating Himself as the son of Satyavati and Parashara, He explains the Vedic knowledge as Vyasadeva. 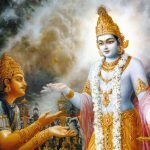 Having spoken about the object of worship of the yogis, paramatma, the Lord now speaks about the object of worship of the devotees, bhagavan.Though he in his form as Krsna is bhagavan himself, he denotes the supreme excellence of his own svarupa as Krsna using the name purusottama, he who is superior (uttama) to the paramatma (purusa). I am superior to the jiva (ksaram), and I am superior to the brahman (aksarat), and also to the unchanging person, paramatma (purusa). The worshippers of brahman and paramatma must necessarily perform bhakti to bhagavan in order to achieve the final results of their sadhana. The worshippers of bhagavan however do not perform worship of brahman or paramatma to achieve the results of their sadhana. Therefore, by worship of bhagavan, it is possible to attain all of the results: material enjoyment, liberation and prema. But by the worship of brahman and paramatma alone, it is not possible to attain enjoyment, liberation or prema. 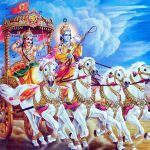 Therefore, it is said that bhagavan is in a superior position even though he is not different from brahman and paramatma. It is just as the huge fire is considered superior among a small light, a lamp and a huge fire, because of its superior ability to alleviate the pain of cold, even though all the items are essential the same energy. 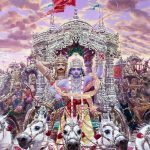 However, among the forms of bhagavan, Krsna is considered to be the supreme attractive, just as the sun is considered superior to the huge fire. Why? Because Krsna alone gave nirvana moksa, the final fruit of worship of brahman, even to his enemies such as Agha, Baka and Jarasandha, who were most sinful. This verse has been explained according to Sridhara Svami’s commentary on the verse brahmano hi pratisthaham. Men skilful at pious work worship Krsna repeatedly, who appears continually to relieve the burden of the earth, who enables the intelligent to cross the material ocean, who is the delight of the women of Vraja, the essence of the beauty of the rain cloud as described in the Vedas, and the form of knowledge and bliss. 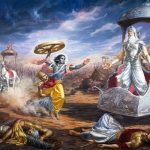 There should be no indignation at the explanation of these three verses (16-18) which establish the supreme position of the form of Krsna, with all due respects to the impersonalists. 15.18 Inasmuch as I transcend the perishable (i.e., bound) Person of the aforesaid nature, and I am higher, for reasons stated earlier, than the imperishable Person or liberated self, therefore I am styled the Supreme Person in the Smrti and Srutis. The Smrti is called Loka by reason of its leading to the meaning of the Vedas. The meaning is that I am famous in the Srutis and in the Smrti. In the Sruti for instance; ‘Reaching the Supreme Light, it appears in its own nature. He is the Supreme Person’ (Cha. U., 8.12.3). In the Smrti we have texts like ‘I will approach Him (Sri Krsna), the Supreme Person who is the incarnation of a portion of Visnu, who is without beginning, middle or end’ (V. P., 5.17.33). One may not comprehend that the Supreme Being and Lord Krishna are the same because of the fact that Lord Krishna, Himself refers to the Supreme being as interpenetrating all the worlds. To remove any vestiges of misunderstanding Lord Krishna construes this verse with the etymological expression of the preceeding verse with Himself in the first person singular stating: Since I am transcendental to ksarah which is the perishable, the insentient, material nature as well as transcendental to aksarah the imperishable, the eternal, the atma or immortal soul; the Supreme Lord is known as Purusottama the Supreme Being. The Svetasvatara Upanisad VI.XVI beginning sa vishva krid vishva avid atma states: The Supreme Being is the creator of everything as well as the knower of everything. He is also the absolute controller of everything. He is the cause of liberation from material existence by the jivas or embodied beings and it is due to aversion to Him that jivas are entangled in samsara the perpetual cycle of birth and death. The Vishnu Sahasranama, verse 16 is states that the Supreme Lord is paramount among all beings. The Puranas glorify Him as the Supreme Sovereign of all that exists and the Narada Pancaratra states: O Supreme Lord as you are the Supreme Being you must save me for I am extremely unfortunate drowning in the ocean of material existence. In this way Lord Krishna is known in the world and in the Vedic scriptures as Purusottama. yasmāt — because; kṣaram — to the fallible; atītaḥ — transcendental; aham — I am; akṣarāt — beyond the infallible; api — also; ca — and; uttamaḥ — the best; ataḥ — therefore; asmi — I am; loke — in the world; vede — in the Vedic literature; ca — and; prathitaḥ — celebrated; puruṣa-uttamaḥ — as the Supreme Personality.